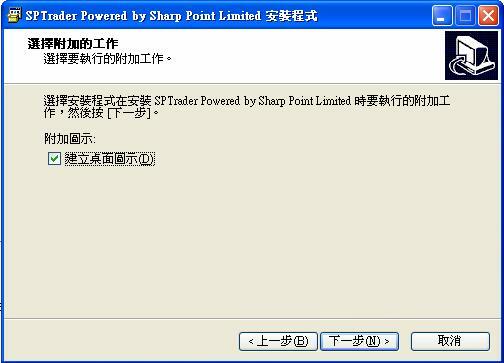 Microsoft Java VM (5 MB) - Online stock system users must download and install. 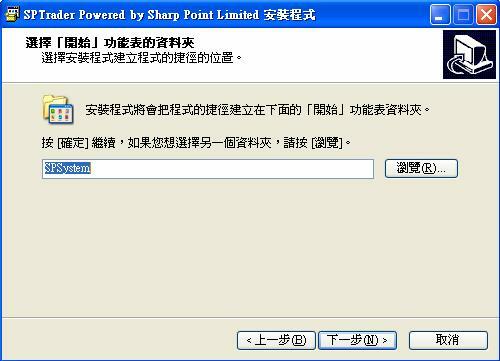 Please choose the language used during the installation procedure. Click "Next" to continue. A welcome dialogue box will appear reminding you to close all other running programs. If there are none, click "Next " to continue. 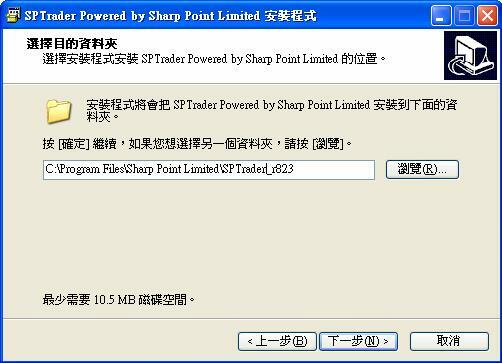 A destination directory is chosen by default to store the program. You can choose another Installation directory by clicking "Browse". Click "Next " button to continue. 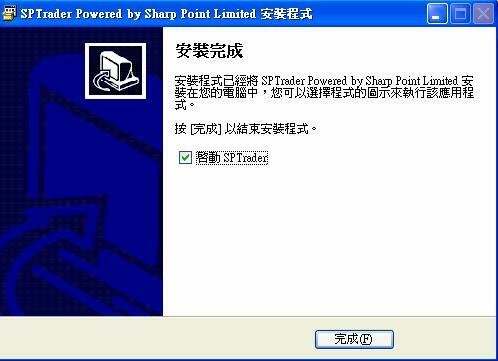 Define the folder to place the SPTrader shortcut in the "Start Menu". Click "Next" button to continue. Choose to create a desktop icon, and select "Next" button to continue. Click "Install" to proceed the installation. 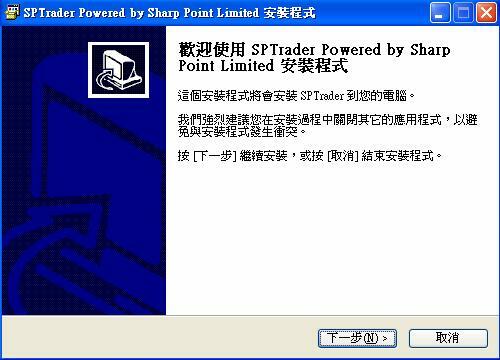 SP System application has been successfully installed. 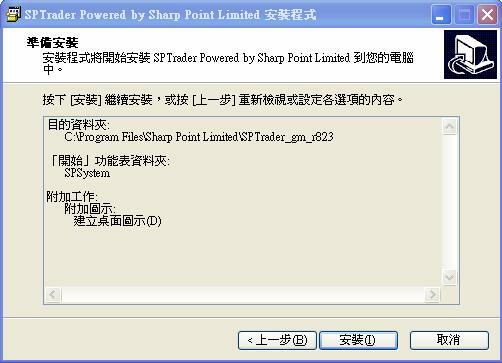 To exit setup select "Finish".